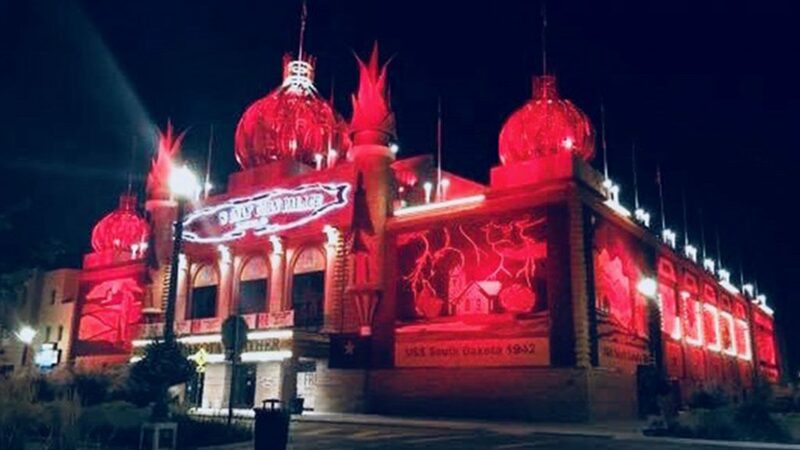 The Corn Palace in Mitchell, South Dakota, glowed red, a visible sign of the love the town was sending to Kadie Neuharth, a Mitchell native who was receiving a heart transplant 1,400 miles away. Kadie's journey to that transplant began four years earlier, when mild headaches sent her to her doctor. When she mentioned she'd also been feeling lightheaded and experiencing shortness of breath, the doctor ordered an echocardiogram to rule out heart problems. Instead, the test results came back abnormal. "Up to that point, I'd had no symptoms," Kadie says. "I was 27. I played sports. I was active." Doctors near her home in the Twin Cities ran more tests, but "nobody seemed super confident on what was going on," she tells The Daily Republic. "As every abnormal test came back, it was fear on top of fear. It was very scary."